My Flatonica is clean WordPress theme with minimalist design. Theme comes with flat design concept and responsive layout. This theme is built on full width and it is suitable for all type of devices. Fluid and responsive layout is developed with twitter bootstrap framework. 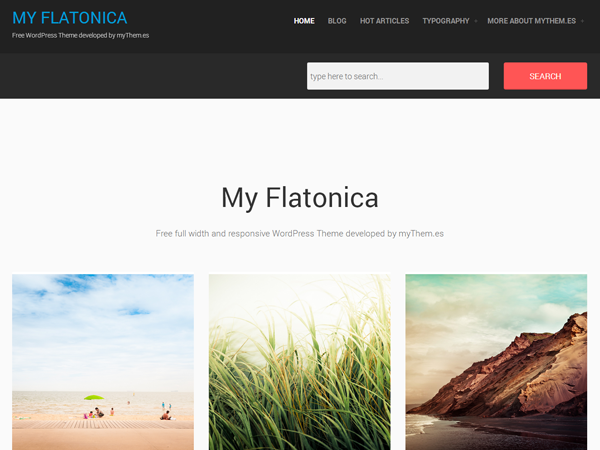 My Flatonica is elegant, modern and beautiful WordPress theme built with HTML5 and CSS3 can be used for any type of website: business, corporate, portfolio, products, etc. We carefully handcrafted this theme with a strong focus on typography, usability and overall user-experience. It’s very quick to setup and easy to customize. It also comes with free support, we care about your site as much as you do and will do what it takes to help in any way possible.